Two perfect weeks in Italy was divided into one week on the Amalfi Coast and one week in Tuscany and Umbria. After landing in Naples and getting our tiny Fiat Panda rental car, we were ready to spend a glorious seven days Furore, between Positano and Salento on the Amalfi Coast. Our Airbnb near San Pietro/Tovere was nestled up in the cliffs, next to farmers who had just begun the grape harvest on the cliffside vineyards. It had it’s own garden filled with tomatoes, figs, and arugula. We overlooked the ocean and had a brisk 15 minute walk up to nearby San Lazzaro for our daily cappuccino fix. The week on the Amalfi Coast was heavenly, needless to say. Incredible view of Assisi from the Saio vineyards. Josh braved driving the roads of the Amalfi Coast with all the hairpin curves and daredevil Italian drivers! Endless vistas were around every corner of our drive making the journey as spectacular as the destination. The highlight of our time there was hiking “Il Sentiero Degli Dei” (Path of the Gods) Trail from Agerola to Postiano. What a breathtaking hike! It was on the cliffs overlooking the ocean, vineyards and small towns below. This trail has some of the most coveted views of the coast and we were happy to get out of our Fiat rental car to move our legs a bit! 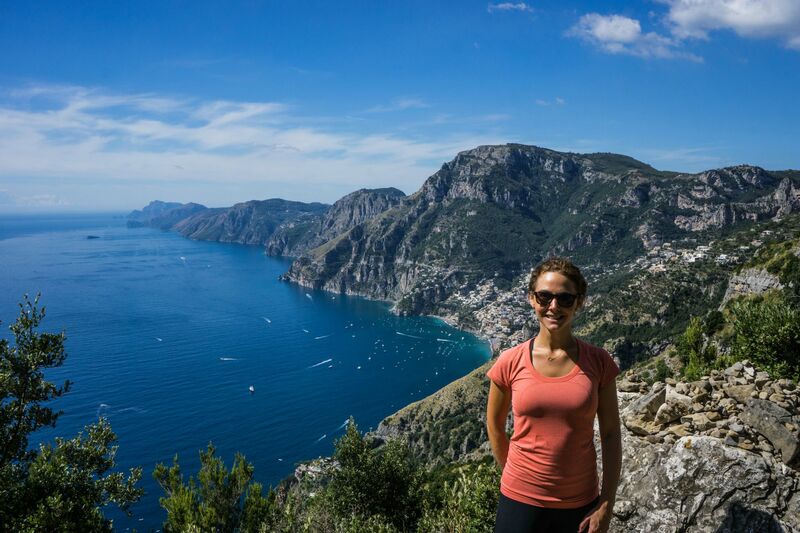 The entire "Path of the Gods" trail provides stunning views over the Amalfi coast. We both still long for the incredible pizza and cappuccino we would have in Almafi! Every morning, we would briskly walk for 15 minutes up the stone staircase behind our Airbnb for our coveted Lavazza cappuccino from our favorite bar in the tiny, not-so-touristy Italian town of San Lazzaro. For 1.40 Euro, you could have the best cappuccino of your life from a beautiful 10,000 Euro espresso machine in this tiny, café/local hangout. We made sure to take advantage of this café to the fullest and became regulars there in San Lazzaro. Incredible view from our Airbnb in Tovere. As for pizza, the Napolitano margarita pizza we would get at the locals-only pizza place in Tovere was our favorite and fulfilled all of our cravings! The waiter wheels out your ½ meter of margarita pizza (smallest size on the menu) and sets it next to the table for 7 euros! Being so close to Naples, it is a crime to order toppings on your pizza (I don’t even think the option appeared on the menu there). However, we did get our fix of Capricciosa (prosciutto, artichoke, mushroom and olive) at the other pizza places we frequented that had more tourists there. 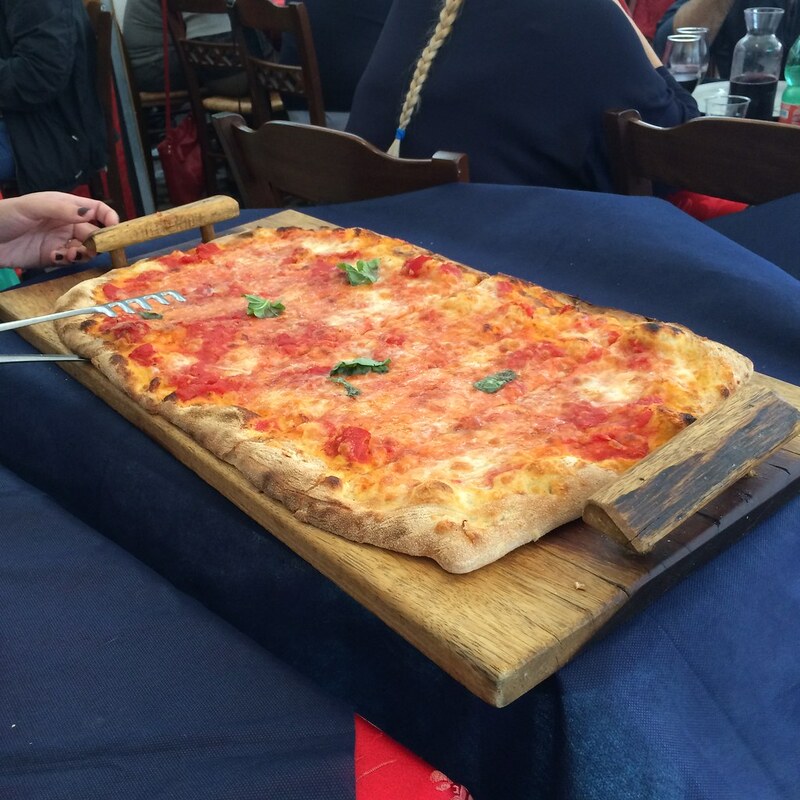 A meter of pizza for 7 euros! After getting our fill of unbelievable ocean views and pizza, we took our Fiat north to Tuscany and Umbria regions. Staying in Airbnbs in Montepulciano, Greve in Chianti, and Assisi was an incredible and worthwhile alternative to hotels in this region. Stops on our trip also included visiting the famous butchery of Dario Cecchini and his restaurant in Panzano, eating truffle pasta in Spello, stopping for gelato at the Piazzo del Campo in Siena and having a picnic in Montalcino. Also, while driving, We were impressed with the number of road bikes on the roads in Tuscany. It is a great place to be active during the day and relax with a great meal and glass of wine in the evening. Tuscany and Umbria in autumn are simple stunning. Our first stop in Tuscany was in Montepulciano, where we stayed in a rustic Italian room in the countryside, overlooking the vineyards. Montepulciano is beautiful and has many wineries to stop in within the town walls which was a unique. Their cellars were carved into the stone below the shops and some were so old they had Etruscan tombs buried within them! One of the many wine cellars in Montepulciano. 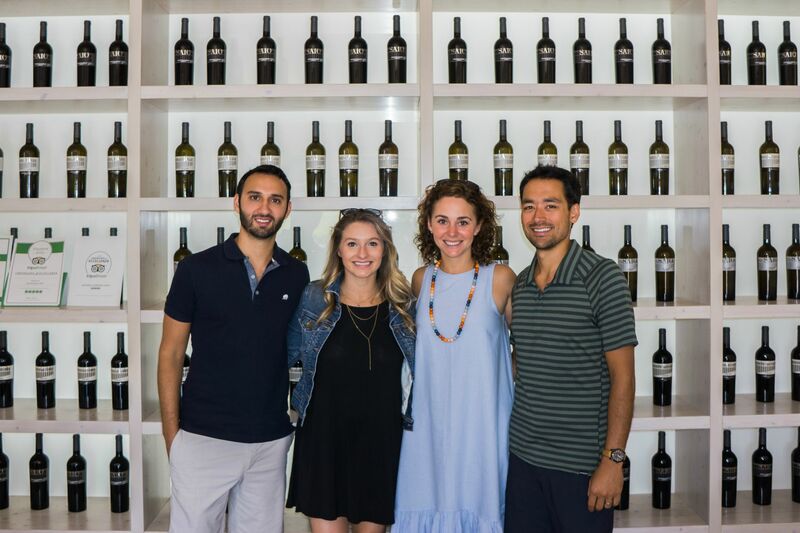 Josh scheduled a tour at Castiglione del Bosco in the Val D’Orcia hills and it was the best wine tour we had on the trip! 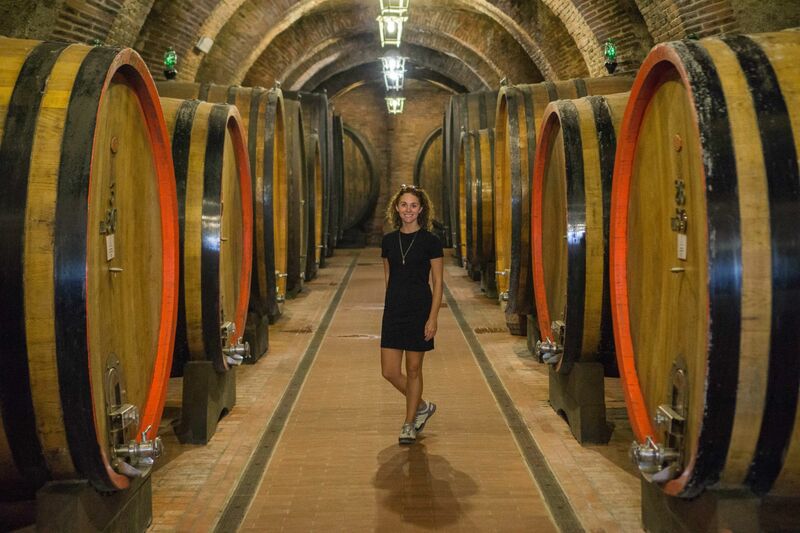 Owned by Salvatorre Ferragamo and having members with names like Justin Timberlake and Jackie Chan, this winery has a great reputation for Brunello wine. We loved the wine but unfortunately couldn’t afford the pricetag to send some back to the states! 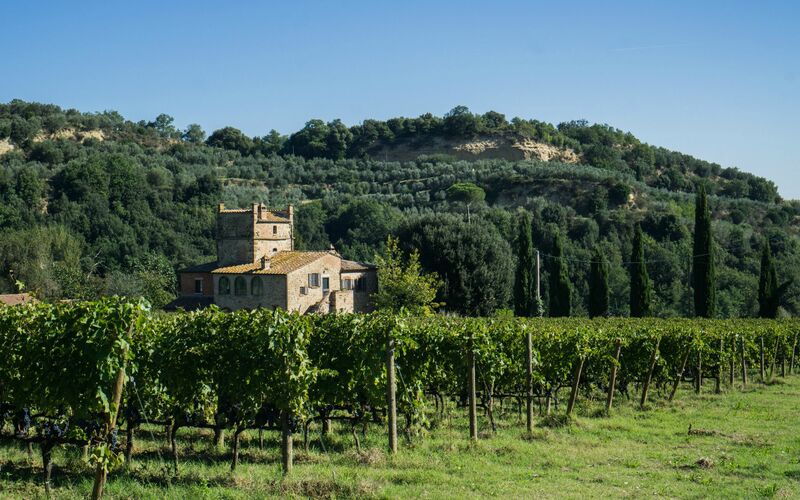 Brunello wines were fairly new to us, as we had not had them often back in the United States, and left a lasting impression on our wine palettes. 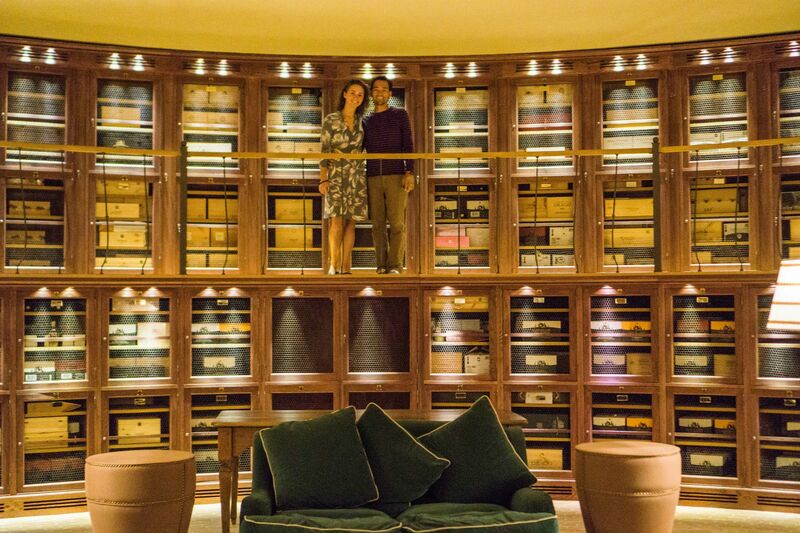 Enjoying the private wine club experience at Castiglion del Bosco. Greve in Chainti was where our most unique Airbnb of trip has been - we were in a old church up on a hilltop in the Tuscan countryside! Pretty incredible (minus the 15 minute ride up the dodgy gravel road to get there, our Fiat Panda was really tired after this)! The views were breathtaking! Later, we met up with our good friend Casey in Montalcino, where she was based to give adventure bike tours through Tuscany with her group of American Tourists. We had the most amazing Italian picnic near the Fort in Montalcino, overlooking the Tuscan countryside just after sunset. 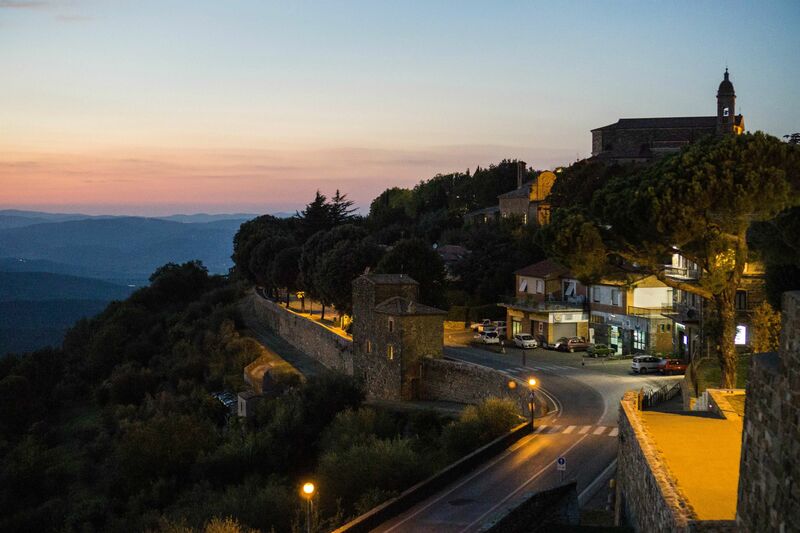 Montalcino at dusk offered picturesque views. Last but not least, we headed to Umbria and went to Natalie’s new favorite small city- Assisi. This town has it all! Beautiful hilltop views over the Umbrian wineries, the unbelievable Basilica de San Francesco and it differed from the other Tuscan towns we had visited in its beautiful stone-masonry throughout the city. We met up with our “Italian-Impasta” friends Taj and Amy, who are spending a year living and working in Florence before they head back to Nashville. Needless to say, we had an incredible weekend of great food and wine including a picnic at Saio winery, overlooking the city and winery. We are so happy they were able to meet us in this incredible town. 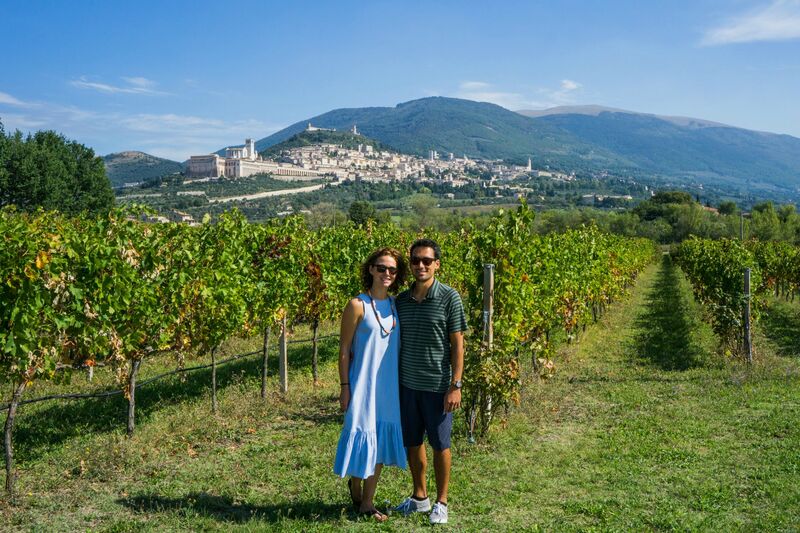 Natalie HIGHLY recommends stopping in Assisi if you are planning a trip near Rome or Florence in the future. Loved catching up with Taj & Amy in Assisi. Italy is a incredible travel destination and an all around crowd-pleaser! 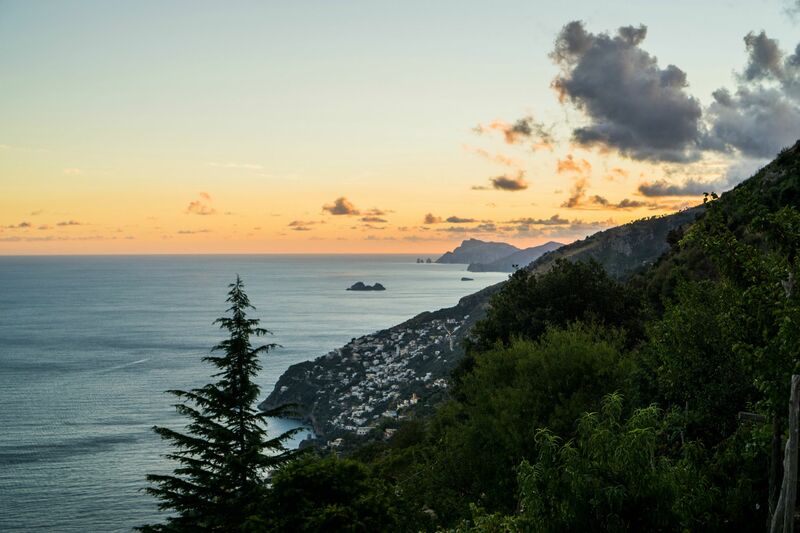 The food and wine cannot be beaten and the views over the Almafi Coast were spectacular. Be sure to take a look at our video and photos below!